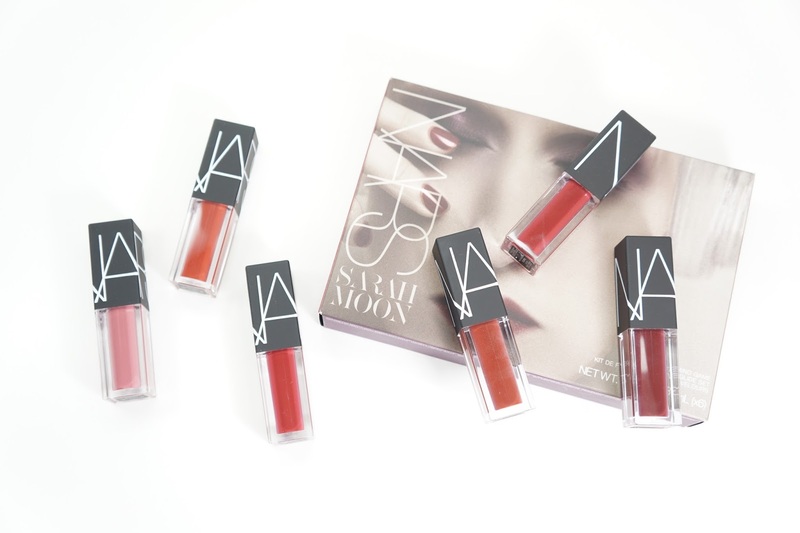 The NARS x Sarah Moon Mind Game Velvet Lip Glide Set contains 6 minis of their newest lip product - the Velvet Lip Glides! NARS claims that the Velvet Lip Glides are highly saturated lip product like lipstick with the feel and smoothness of a gloss. They're also supposed to have a semi-matte / velvet finish thats long wearing and comfortable. In this set, there are 3 permanent colors (Bound, Unspeakable, and Toy) and 3 limited edition colors (No. 675, Chez Claude, and Plato's). Each mini contains 0.12 ounces / 3.4 mL of product and the set retails for $45. It's currently sold out online, but I was able to find it in stores. 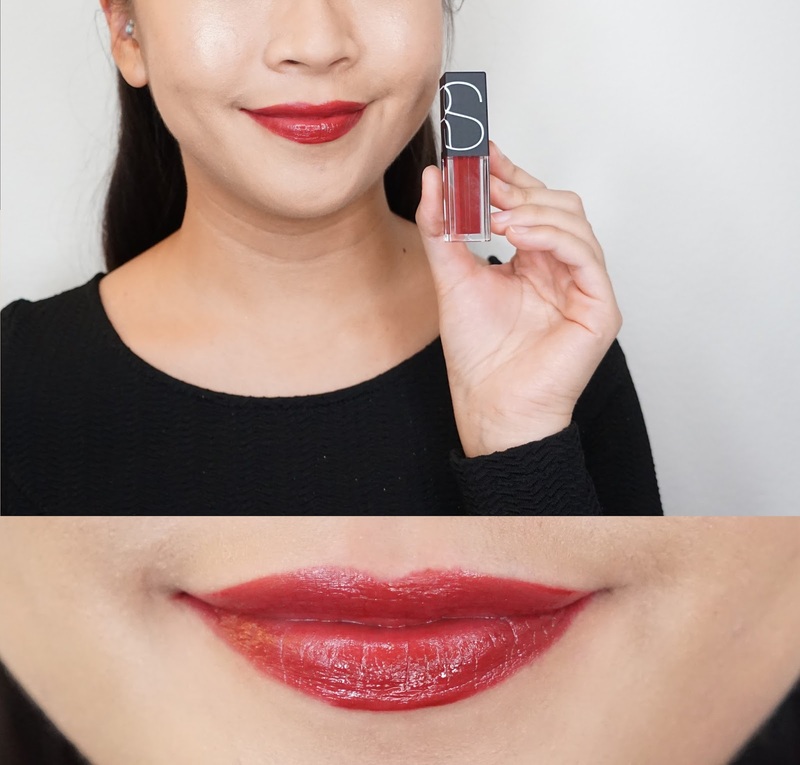 Recently, I've been pretty interested in less matte products due to a lip sensitivity. 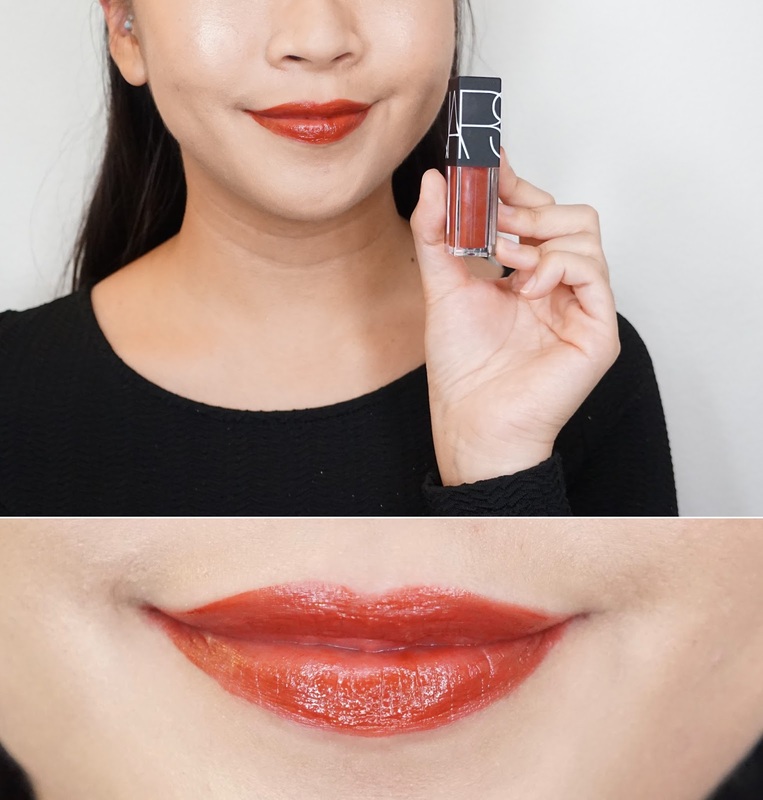 When I heard about this new line from NARS, I was immediately intrigued because it seemed like everything I wanted to try out in one product and it definitely helped that they were getting good reviews. These products do slightly change coloring when sheered out / blotted down (my preferred way to wear these products when it's on its own) but most of these pictures show how they look straight out of the tube and layered up. I feel like "Velvet" is misleading though since they're pretty glossy out of the tube and can become more semi-matte when they're blotted down or after waiting a lot time for them to set. 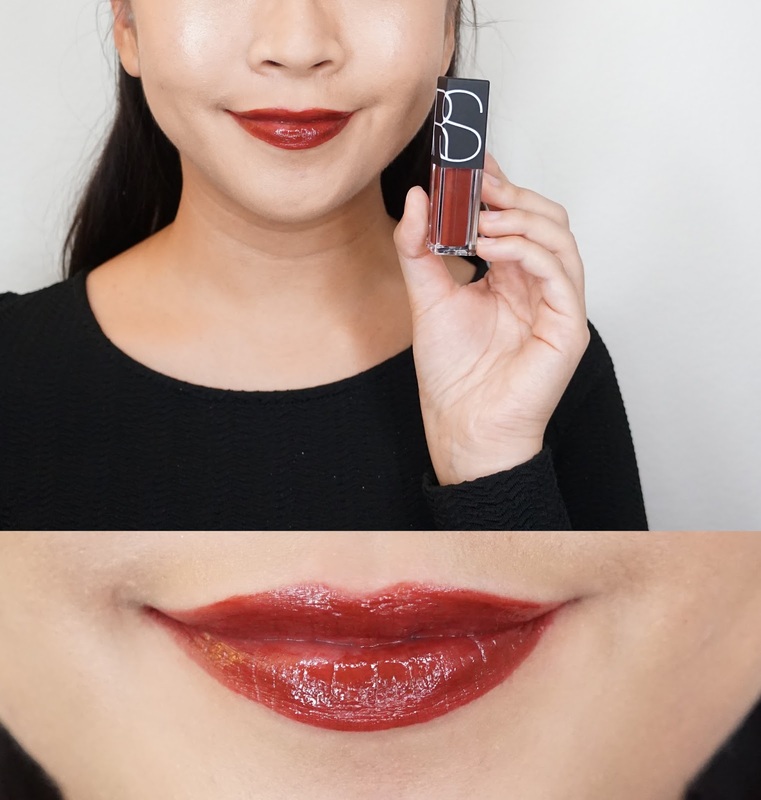 When I think of a Velvet finish, I think of the Burberry Lip Velvets and Etude House Dear My Blooming Lips Talk Chiffon Lipsticks, and the NARS Velvet Lip Glides aren't that. 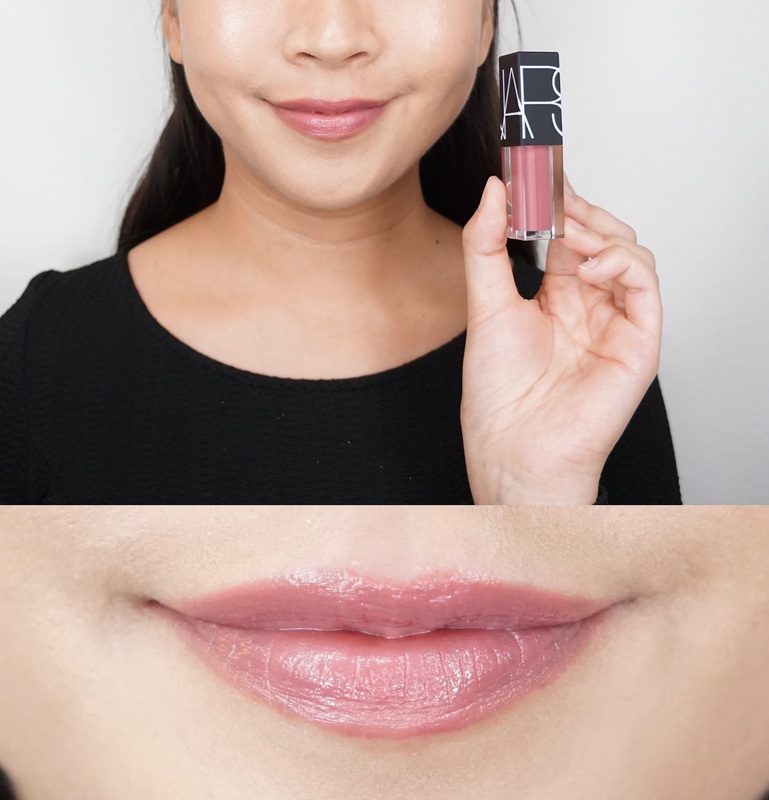 If anything, I would describe this lip product more like a gloss than like a lip stick. They're not sticky though and that's one of my favorite things about this product. No hair getting stuck on my lips! They do transfer, but I'm not too bothered by it. I wasn't expecting these to be transfer proof like liquid matte lipsticks. 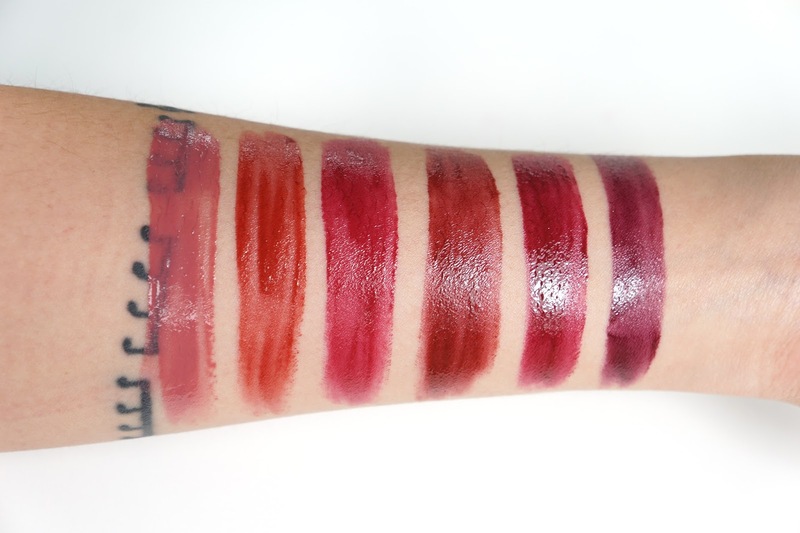 Overall, these Velvet Lip Glides do glide onto the lips like gloss and feel super comfortable to wear. I did get some patchiness from the darker shades that I'll mention below, but the light to mediumish colors went on so pigmented and smoothly. I also want to make a distinction that while these lip products are pigmented, they're not fully opaque. If you have a lip freckle or something, that might show through and the mauveish color of my natural lip color did affect how the lightest shade looked on my lips. Bound is described as a "soft magenta" but it looks like a cool toned medium pink with some lavender tones on me. Personally, I'm not a fan of this kind of shade because it always turns lavender ish on me because the already mauve tones in my lips. If I ignore my preference of colors, it did go on very smoothly and evenly. Because it is a lighter shade, it seemed to fade faster than the other 5 shades. No. 675 is described as a "deep peach" but that's not what I see/get on my lips either. It looks like a red based orange that has a hint of brown. I normally see red based oranges or orange based reds brighter than No. 675, but this one is on the darker and even more muted side of those shades. Personally, I find that that aspect to No. 675 more wearable. Chez Claude is described as a "warm pink" but I find that it's a dark pinky red with a bit of fuchsia to it. There's a brightness to Chez Claude to it that I feel like it really livens up my face. I feel like for those who lean more towards pinky shades, this shade is a great introduction to wearing reds. Unspeakable is described as a "reddish pink" here... but a "garnet" here. Garnet is definitely more accurate and I would describe it as a medium dark brick red. This is hands down my favorite color from the set, but it still has the smooth cushiony texture like the other colors. It reminds me of my favorite brick brown reds like NYX Snow White or MAC Viva Glam I.
Plato's is actually very very similar to Chez Claude but it might be a touch darker and is described as a "dark pink." Considering how close these two shades are, I would've added another color into the set instead. Both of these shades are also 2/3 of the LE shades... so, that's weird. I do like these kind of shades though and so if I'm looking at the good side, I don't have to worry about running out of one of the shades since there's such a similar in the same set. I did get some patchiness with Plato's though, which was disappointing. Since there is a berry tone to it, I was planning on wearing it a lot more during winter. On the positive side, because the Velvet Lip Glides are slightly glossy, they can be "toppers" on other lip products and that's what I ended up doing a lot more with Plato's. I have some matte shades like this color and wearing Plato's on top of those shades also made them more comfortable to wear. 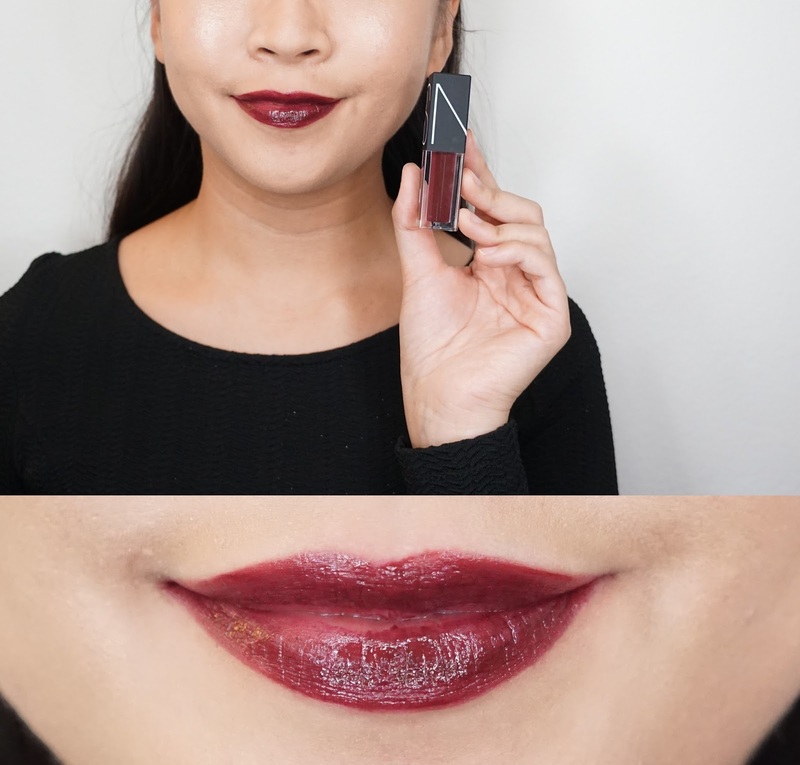 Toy is described as a "deep aubergine" and even though I don't have it, I feel like the coloring is like the NARS Velvet Matte Lip Pencil in Train Bleu. Unfortunately (again, I don't have Train Bleu to really compare), Toy is also slightly patchy and so I do prefer it on top of similar shades instead of on its own as well. The final swatch picture! As mentioned wayyyyyy above in this post, my preferred method in wearing this product is more blotted down. I do like wearing them straight out of the tube for the medium / medium-dark shades but I like that the color is less fussy when I have them more blotted down from the beginning. Wearing No. 675 on the left and Chez Claude on the right. 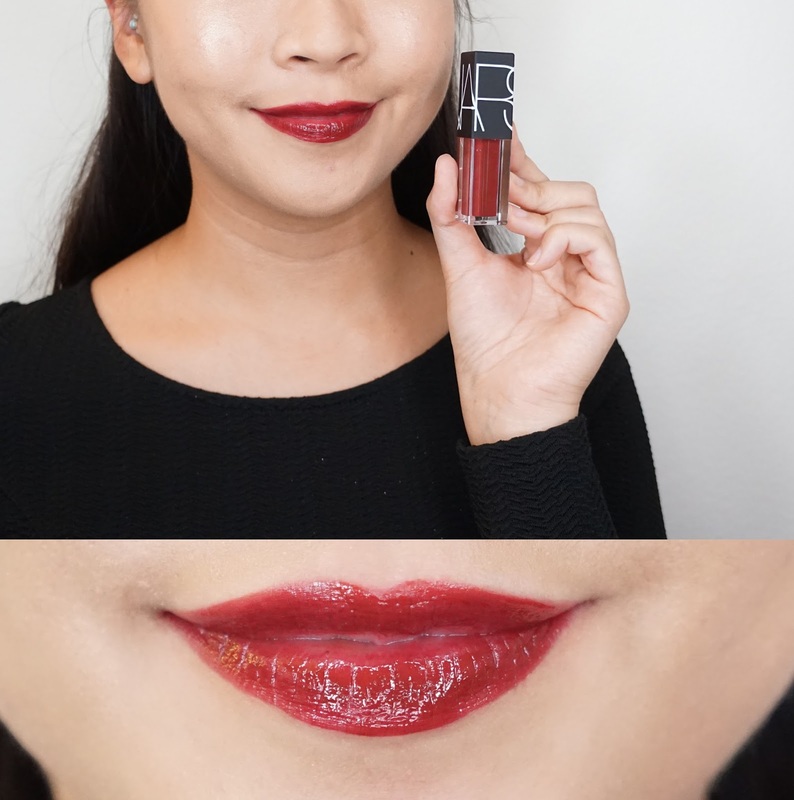 Final thoughts: I feel like I was kind of wishy washy throughout the review, but in general, I do actually like the NARS Velvet Lip Glides! I would take a hard pass on the darker shades like Toy though since they tend to look patchier. You can use them on top of lipsticks like regular lip glosses, but they're going to look patchy on their own. I now have finicky lips and these NARS Velvet Lip Glides still felt super comfortable and amazing on my lips. I do see myself repurchasing Unspeakable if I ever run out of the shade and I hope No. 675 and Chez Claude become permanent since those are my other two favorites in this kit. I would highly recommend getting this set if you see it in stock! 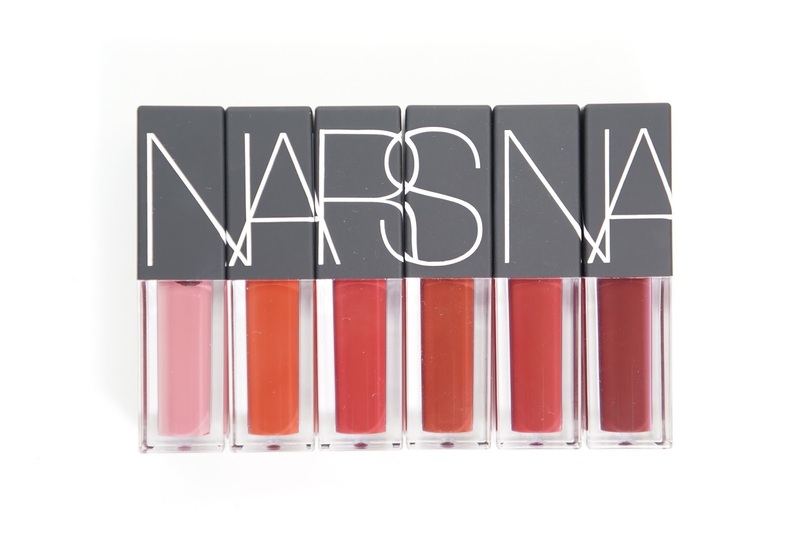 Have you picked up any of the NARS Velvet Lip Glides? How do you feel about this kind of hybrid like product?